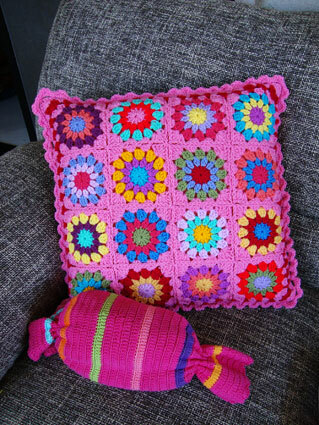 Home/Crocheted cushion, granny squares, Uncategorized/Pinky garden cushion! 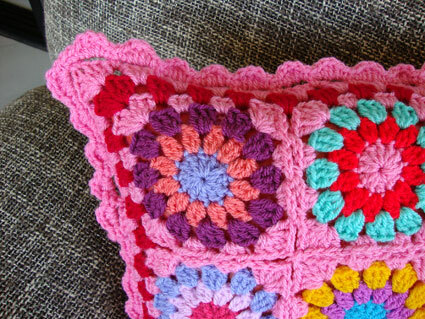 I managed a little time for crochet during this week (not my actual speedy crocheting time:)) but it’s good…and today I’m gonna show you the pinky garden cushion! It is (like his brother, the green one) made with 16 squares. 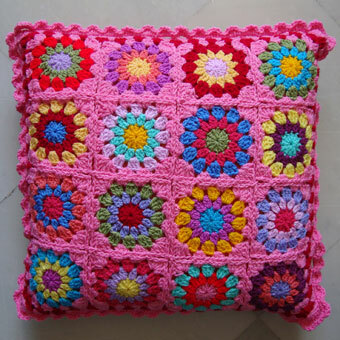 See you next time to show you the round granny cushion and my new yarns :D:D YES YES YES it arrived two days ago and I am soooo excited about this really big big blanket I’m gonna make for our double sized bed! It will be huuuuge and soo full of colors! 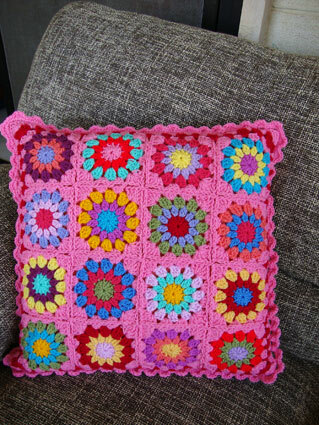 I just love the pink; it is so very girly and bright. It’s gorgeous, love the pink! Oh wow, I thought it couldn’t be better than the green one, but this one is gorgeous. 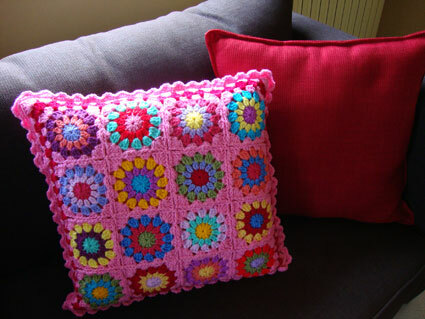 The other pink cushion is also very cute. This is absolutely cute! I adore it!